Over the past 30 years, Creativeworld has gathered a wealth of experience within the property investment market. 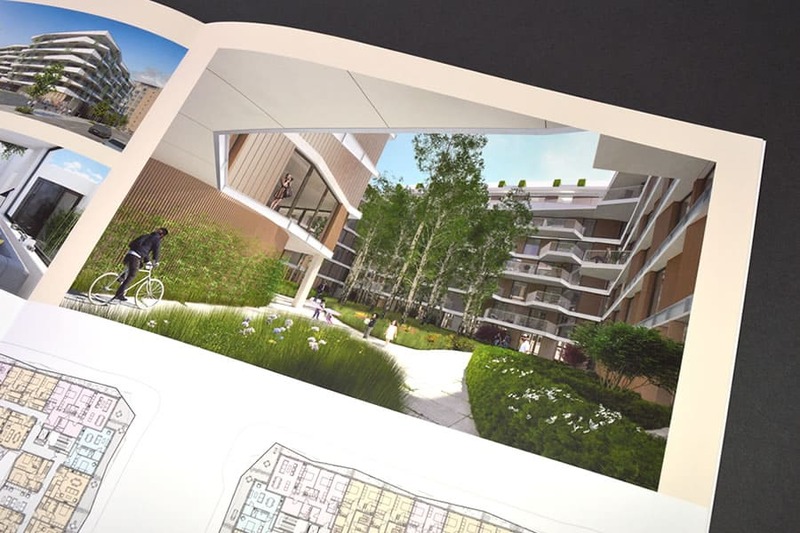 With this in mind, Creativeworld were exclusively selected by joint agents JLL and BNP real estate to produce the Spencer Dock Investment brochure, complete with secure data rooms. 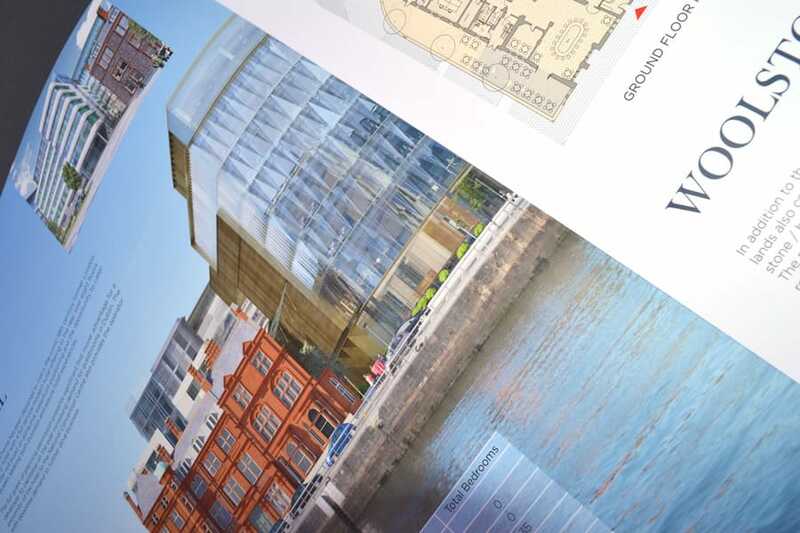 With a proposed mix of offices and hotels complete with residential and retail opportunities, the property presents a chance to create a vibrant urban quarter in the heart of Dublin City Centre. The development is complimented by a prime water frontage location, making the investment not only a profitable venture but an aesthetically desirable one also. 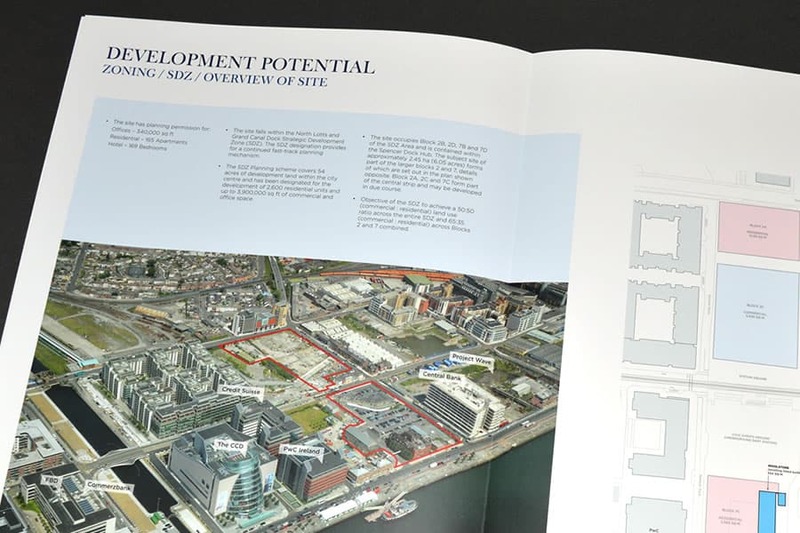 Situated in the Heart of Dublin, with a strong demand for offices and residential properties the development is expected to provide an exciting and secure proposition. We created a unique 16 Page A3 Brochure with layflat binding, topped off with a foil cover, all of which was specifically and expertly designed by the in house creative studio to represent the vibrancy and personality of the project. 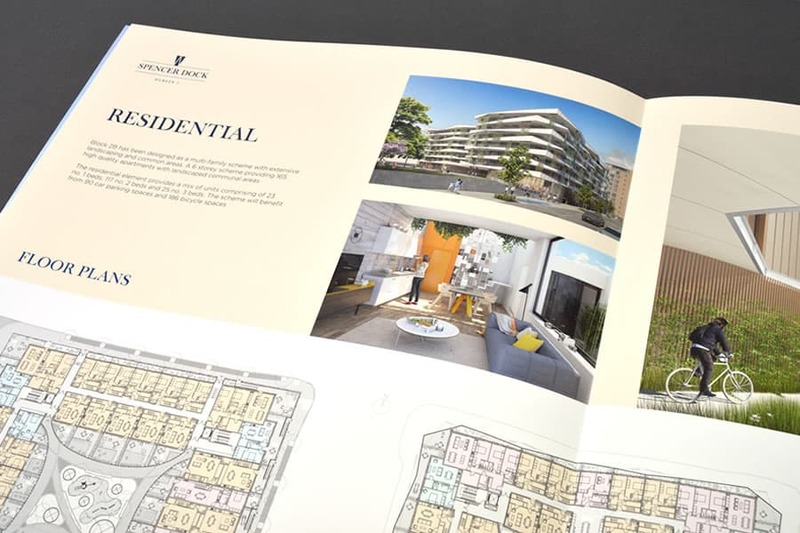 To compliment the printed version, the brochure is also available as an online download, so potential buyers can get a closer look at Spencer Dock anywhere, anytime. In addition to this, the team created an in-depth secure data room, filled with a detailed specification of the project, complete with statistics and imagery. The outer cover of the brochure featured a Carbon-X finish and two tone foiling, while the end papers included a themed skodix finish.